The 2018-19 season just started this week but Fox is thinking about 2019-20 already. Fox has given a straight-to-series order to Bless the Harts, a half-hour animated comedy featuring the voices of Academy Award and Golden Globe nominee Kristen Wiig (Bridesmaids, Saturday Night Live), Emmy Award and Screen Actors Guild Award nominee Maya Rudolph (The Good Place, Bridesmaids), Emmy Award nominee Jillian Bell (Saturday Night Live, Eastbound & Down) and Ike Barinholtz (Neighbors, Blockers). Created and executive-produced by Emmy Award winner Emily Spivey (The Last Man on Earth, Parks and Recreation, Saturday Night Live), 13 episodes of Bless the Harts have been ordered, which will air during the 2019-2020 season. The animated comedy follows a group of Southerners who are always broke as a joke, and struggling for the American dream of status and wealth. What they don't realize is that they're already rich, in friends, family and laughter. CBS All Access, CBS' digital subscription video on-demand and live streaming service, announced that all eight episodes of the second season of its original comedy series No Activity will be available to stream beginning Thursday, Nov. 22. No Activity's second season debut marks the first time CBS All Access has released an entire season of an original series at once. 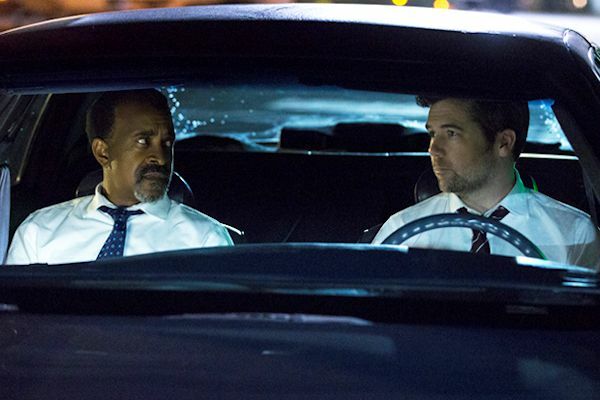 Patrick Brammall and Tim Meadows will reprise their roles as Detectives Nick Cullen and Judd Tolbeck, two low-level cops who have spent far too much time in a car together. They are joined by returning guest stars Jake Johnson as Detective Haldeman, Sunita Mani as SDPD Dispatch's Fatima, Jason Mantzoukas as haphazard criminal Marco, Amy Sedaris as SDPD Dispatch's mother hen, Janice, and Academy Award winner J.K. Simmons as Leon, the internal affairs investigator with a fondness for deep sea fishing. New guest stars joining them this season include Jessica Alba, Chris Gethard, Max Greenfield, Joe Manganiello, Cristin Milioti and Nasim Pedrad, among others. Season two of No Activity finds us back in Car 27 with Detectives Cullen and Tolbeck on a new stakeout. Meanwhile, the SDPD is rocked by a massive corruption scandal, and the culprit might be close to home. The first season of No Activity is currently available to stream exclusively on CBS All Access.